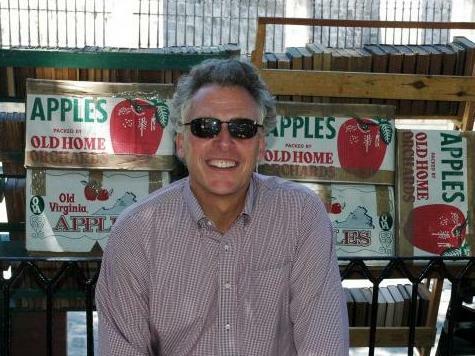 The Washington Post reported on Tuesday that Terry McAuliffe’s 2010 personal trade mission to Cuba to promote the sale of apples and wine produced in Virginia was the sort of unplanned disaster–heavy on personal bluster, low on preparation and planning–that is likely to characterize his administrative style as governor of Virginia if he defeats Republican nominee Ken Cuccinelli in next Tuesday’s election. Blaze Wharton, who organized McAuliffe’s 2010 Cuba visit, called it an utter disaster. “It was like, ‘What just happened?’ Were we rolled?’?” Wharton told the Post. The Free Beacon reported in September that Chris Simmons, “a former U.S. counterintelligence officer claims Terry McAuliffe…was likely spied on by Cuban intelligence services” during his 2010 trip to the island that has been ruled by Fidel Castro’s Communist government for over half a century. On his return, McAuliffe declared his trip to Cuba a success, despite all evidence to the contrary. He pronounced that “for the first time ever,” Virginia wines would be exported to Cuba. No trade specialists have been able to verify any Virginia wine has been exported to Cuba since McAuliffe made that statement more than three years ago. Though some polls in recent weeks have shown McAuliffe with a double digit lead, a Qunnipiac Poll released on Wednesday reported that McAuliffe’s lead has shrunk to four percentage points, 45 to 41, with a number of voters still undecided. Though McAuliffe has outspent Cuccinelli by more than a two to one margin, and has accelerated that pace of spending over the last two weeks of the campaign, McAuliffe’s link to the Clintons and the Obama administration may be hurting him among Virginia voters more than it is helping in recent days. The disastrous rollout of Healthcare.gov, the Obamacare website, continues to leave even liberal voters across the country–and in Virginia–reeling from sticker shock and stunned at the utter incompetence of the Obama administration. The McAuliffe campaign, however, continues to believe that McAuliffe’s close association with the Clintons and President Obama is still a major advantage. Both former President Bill Clinton and former Secretary of State Hillary Clinton have campaigned in Virginia with McAuliffe recently. President Obama is scheduled to campaign with McAuliffe in Northern Virginia this Sunday. For many Virginians, however, blustery promises by Democratic politicians are starting to lose their luster. The question that remains for Ken Cuccinelli, McAuliffe’s opponent in next Tuesday’s election, is how widespread that dissatisfaction has become, and how quickly it will spread over the remaining days until Virginia voters step into the voting booth.